This is always an eagerly anticipated time of the year when the days start to visibly get longer and the feeling of spring is just around the corner. Unfortunately that feeling may last for another month or so but I hope it will not be as long as last year when it was already April before spring really started. This winter has been a little backwards with much colder weather during December, which also affected many parts of Europe, and a "warmer" January compared to other years. 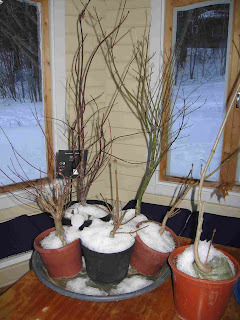 Soon it will be clear which of the outdoor bonsai trees have survived the harsh Finnish winter. This year I have used our pavilion to house some of the trees and I hope that the protection from the frost and the hard winds has done the trick. As you can see from the photos I apply snow to the top of the soil. 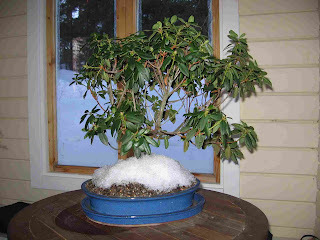 This snow is not designed to protect the plant but it is a means of keeping the soil wet. On good days the temperature inside the pavilion could be above zero and the the snow will slowly melt and "water" the plant. 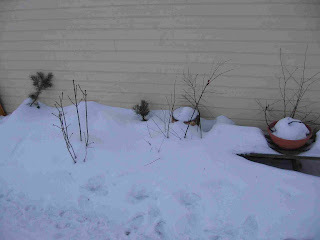 The spruce trees that I collected last year have remained next to the house or next to the garage. Because of the amount of snow that we have had all the trees next to the garage have been covered already from the beginning of the winter and this should have helped to protect the trees from the frost and wind. 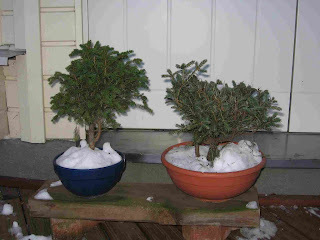 Welcome to my blog where I will post updates of my attempts to make bonsai here in Finland. 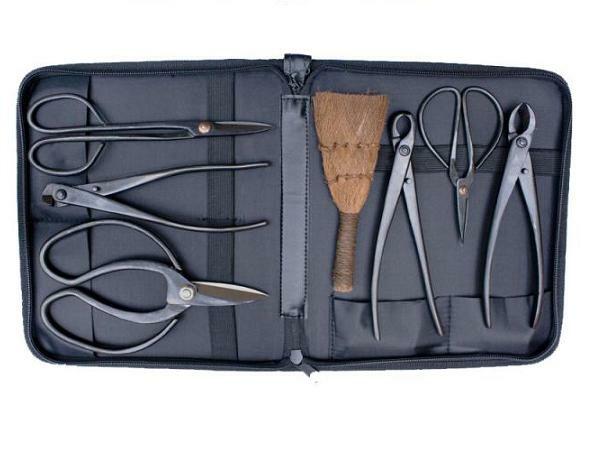 Thank you for spending your time looking at my blog site. If you have any questions or comments please contact me at raisiobonsai@gmail.com.